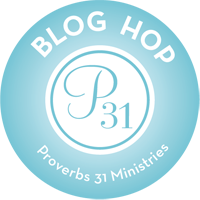 Welcome to the last week of our 31 Days to Becoming a Better Wife series! By Thursday we should all be perfect wives, right? Okay, maybe not perfect, but a whole lot better than we used to be anyway. On Saturday, I asked you all to go back and review your marriage vows (if it was possible). Were any of you surprised by those vows? I know I couldn’t recall exactly what we said to each other, but I did at least remember the gist of things..we vowed to love one another in good times and bad, sickness and health, to love, honor, and cherish each other, and to stay husband and wife till one of us dies. Good news, both of us are still alive and we are still married! Now, the other parts of our vows have come, gone, and come back again over the course of 17 years, but we are still trying and that is the point. Marriage has peaks and valleys, but society has made it so easy to quit that people rarely make it out of the valleys. That may sound corny to some, but I know it to be true. I’ve lived it, (more than once). I’m going to share a really personal story. It is about a time in my life that I am not proud of, but I think it may help someone else. The third and fourth years of my marriage were without a doubt the hardest years thus far. I had two young daughters and a husband who worked a lot. I rarely got out of the house, had no friends outside my family, and did not attend church. I was lonely and dependent on my husband for everything. While I knew it wasn’t possible for him to fill all my empty places, there was one area in which I knew he could, but was choosing not to do so. This drove me nuts (and still does to some degree). To me, his lack of attention in this area was a blatant disregard for my feelings and felt like a slap to the face. I became angry, resentful, and withdrawn. I decided to go back to work so that I wouldn’t be so dependent on my husband and I could leave him if I needed or wanted out. I enjoyed getting out of the house. I enjoyed my new friends. I felt young again. Needless to say, my husband wasn’t thrilled and he really didn’t like my new friends. His dislike for these new “friends” was well-earned as it was their mission to get me divorced. The good news is that my husband became more attentive and fought for me and our marriage. At first, I resented him for it. I remember thinking something along the lines of “why now?” He even got us going back to church. I did not want to go. I don’t think anyone who knows they are doing something wrong wants to go to church. I went anyway, and while I was not yet saved, God began to work in my heart. But while God was starting to work in my heart, Satan was actively working in my life. “I think I’ve already lost you, I think you’re already gone. I think I’m finally scared now. You think I’m weak , but I think you’re wrong. I think you’re already leaving, feels like your hand is on the door. I thought this place was an empire, but now I’m relaxed, I can’t be sure. I think you’re so mean. I think we should try. I think I could need this in my life. I think I’m just scared. I think too much. I know this is wrong it’s a problem I’m dealing. Upon hearing this song, I immediately turned my van around and went home. I quietly unpacked (as quietly as one could while sobbing) our bags before my husband even knew I had gone. You see, my husband and I have always had a different kind of love. We were the best of friends long before we became romantically involved. He knows me inside and out. What I felt I was missing out on was that head over heels romantic love. You know, the love you see in the movies and read about. The love men don’t believe actually exists. I felt cheated. Now, don’t get me wrong; I have always loved my husband, I just haven’t always felt in love with my husband. I think we have all been there at one time or another. That being said, I would also like to add that I have always known that Scott was to be my husband. Even though I was not yet saved, I always felt God had given me Scott. So, when I heard those lyrics, my eyes were opened and my heart was reminded of just how much I did love my husband. I knew deep in my heart that while I could leave Scott, I would never find what I was looking for because Scott was the man I was designed for. I could leave or walk away, but there was always going to be a part of him with me because we became one. We were one flesh, one mind, one heart. I would love to say that things were great from that day forward, but the truth is it wasn’t, not even close. Once he knew I was home to stay, Scott became angry and distant. I became angrier because I couldn’t understand why he fought so hard to save us if he was just going to keep on ignoring me. However, we continued to go to church and while I had always believed in Jesus, I finally gave me heart to him. Once we both started walking in the ways of the Lord, these issues worked themselves out. I don’t remember when or exactly how it happened, I just noticed it gradually getting better. I began to understand that this was a just a valley or a big bump in the road. Better days came. The love that I thought was gone, came back. Whenever I am tempted to believe the lies of the devil of “it is always going to be this way”, I remember this time in our marriage and I am able to overcome those lies. I often wonder what would have happened if Scott hadn’t fought so hard. Where would we be now? I know one thing for sure; it wouldn’t be in the place God had planned. God designed marriage to be a sacred union. If we remember from our wedding ceremony, it is not something to be entered into lightly. It is forever. Maybe instead of making it easier to get divorced, we should start making it harder to get married. No, that probably isn’t the answer either seeing as a lot of people are just opting out of the whole marriage thing all together. Now that I think about it, the answer would be to build biblical marriages where the “D” word isn’t even an option. You see, I believe if we allow ourselves to think it is an option, there will come a time when we will be weak and more than tempted to follow through with it. I know some women who throw that word around as a manipulation to get what they want. I know I have used it before when I am at my wit’s end and don’t know what else to do. Ladies, we got to stop using this as a threat because you never know when our husbands might just take us up on our offers. I have seen more than a few marriages go down due to someone’s foolish pride (I think there may be a song or two on this very thing).